Featuring 15 playable characters and nine stages. 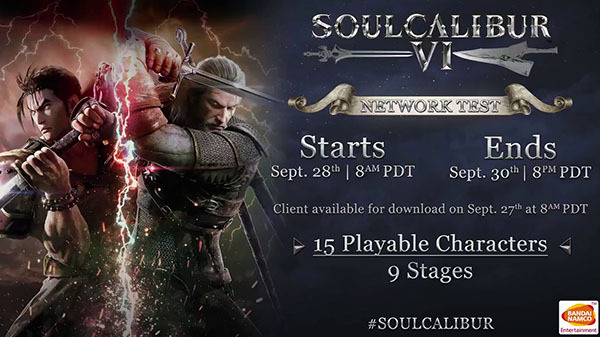 Bandai Namco will host a Soulcalibur VI network test on PlayStation 4 and Xbox One from September 28 at 8:00 a.m. PT to September 30 at 8:00 p.m. PT, the company announced. The network test will feature 15 playable characters and nine stages. The download for the network test will be available on September 27.